4 Essential Audio Manipulation Tools For Your Studio! These plug-ins are specifically designed and dedicated to creating, expanding, improving, controlling and analysing the image and quality of the stereo signal in single tracks or mixes. 4 Essential Studio Audio Tools! Expand and control your music mixes in new and creative ways! 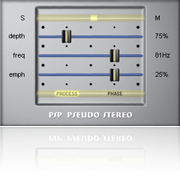 “PSP PseudoStereo” plug-in enables the conversion of the mono signal into a stereo one. Due to processor operation the mono signal gains features resembling a record performed by the use of a pair of microphones. This appliance proves particularly valuable when mixing MIDI material, when for instance percussion tracks need some depth and natural spatial effect. This plug-in enables the user to create the impression of “vigorous drums” based on mono samples. It can also be used for the purpose of re-mastering mono tracks. 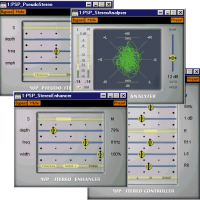 “PSP StereoEnhancer” plug-in allows for the improvement of the stereo track spatial effect. Due to three processor operation modes, optimal settings can be applied to any audio material. With the use of PSP StereoEnhancer the stereo sound of acoustic instruments as well as poor stereo archive tracks can be improved. This plug-in can also be applied for the purpose of new music material mastering. 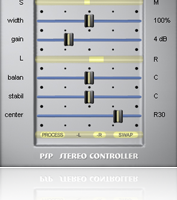 “PSP StereoController” is used for correcting stereophonic errors. This plug-in allows for removing basic errors such as: reverse signal phase or change of channels. It can also be used for effecting subtle changes into the stereo image. PSP StereoController is particularly helpful whilst mastering tracks performed in poor monitoring conditions. Features: independent control of differential signal level, traditional channel balance, changing stability of left and right without moving center channel position, adjusting center position without changing entire stereo image, swapping and changing phase of channels. Visualizing of left / right balance and stereo / mono balance. This processor does not break tonal balance and mono compatibility. Sample rates up to 192kHz supported. 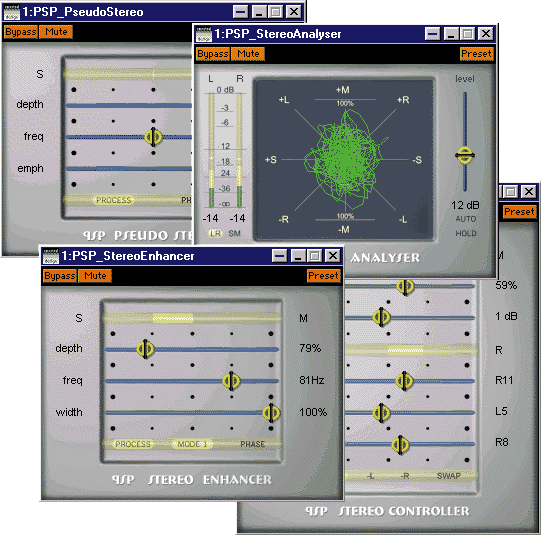 “PSP StereoAnalyser” is used for measuring and estimating the correctness of the stereo signal. Apart from mean and peak measurement of L R or M S signal levels it allows for oscilloscope observation of stereo sound which reveals phase errors and lack of channel balance. So What Exactly Can I Do With “PSP StereoPack”? “PSP StereoPack” is an indispensable studio toolbox that will help you expand and control your music mixes in new and creative ways! Normally €44 – get it at 80% off before it’s gone! 80% off the normal price (normally €44)! 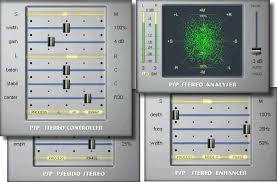 PSP PseudoStereo – pseudo-stereo encoding while recording, mixing and re-mastering mono tracks. 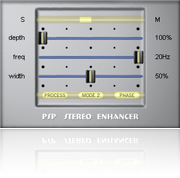 PSP StereoEnhancer – enhance stereophonic space while recording, mixing, mastering and re-mastering single or multiple stereo tracks and mixes. 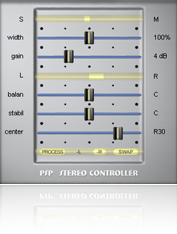 PSP StereoController – eliminate stereo errors during mastering and re-mastering stereo tracks. 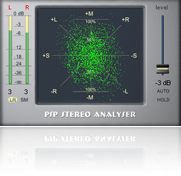 PSP StereoAnalyser – analyze of stereo image properties while recording, mixing, mastering and re-mastering of stereo tracks. Perfect for Ambient Music, Cinematic Music & Extreme Sonic Experiments! "We like these. We like them a lot... The StereoPack can add real dimension to sounds and mixes that seemed fine already, as well as lifting weak material up to an unexpectedly high level. Analysis and correction become simple tasks which can help confirm your stereo image or show any problems that your hearing may not pick up." "This collection of useful stereo plug-ins can enhance the stereo content of your material. Also included is a stereo analyser for checking stereo content, positioning and phase problems... Overall these plug-ins are excellent and the graphics interfaces are superb, with just the right amount of information displayed in clear way." "StereoPack's plug-ins are CPU-efficient and add only a small percentage to overall CPU usage... The PSP bundles are great value with useful applications. Some controls are touchy or oddly labeled, but the control panels are graphically well designed; the metering is excellent too... they offer unique digital signal processing solutions to fill a few holes in your audio-editing kit."